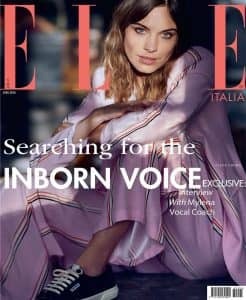 Mylena Vocal Coach has a three-page interview in the April issue of Elle magazine, explaining how her passion to be the most effective voice teacher in the world has led her to offer online lessons to clients on all continents. She truly is a “Voice Guru”. The title of the interview is “In search of the Inborn Voice”, which is the voice “that everyone has ‘inside’ and would love – but we are not able to – let it emerge. 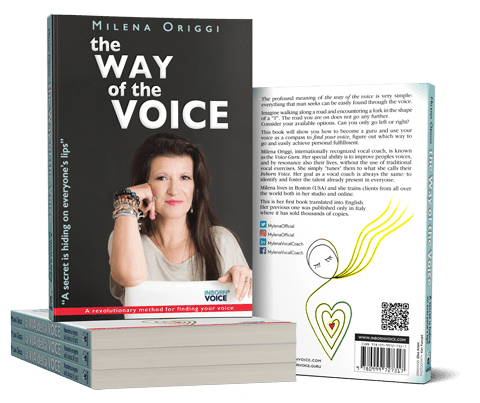 Mylena Origgi, vocal coach from Boston, teaches how to find it again. This is not only for professional singers or speakers. Everyone can free the inner vibration and discover their real essence’. «Many people do not love their voice, maybe because they feel it sounds ‘unclear’ or ‘uncertain’. Voice can mislead personality: a ‘childish’ voice can be an issue if you are a CEO. If you have a shrill voice, everyone will mock you and you will be named forever as a ‘looser’, especially in the USA where competitions and challenges are ruling the society since preschool». The inborn voice is the means to take back to the «’real’ voice, the one you had before all the social and cultural conditioning of the past. Inborn voice will let you wipe away all the defects that have ‘ruined’ your voice. After the training you will be able to express your emotions once again. Sometimes clients need just few lessons to reach their goal (like removing an accent), sometimes the path can be longer. My work is delivered in three different areas: technical, emotional and voice realignment. Your Inborn Voice is the one that lets you laugh or cry even when you are simply reading a book. Sometimes people are not able to explain why they are laughing or crying. That’s because they are not able to understand the language of their Inborn Voice. The same apply for men and women that are hard or somber and not able to feel anymore emotions: they have simply buried so deeply their Inborn Voice that they are not even able to hear it as a whisper». «If you think that a Vocal Coach is useful only for singers, you are wrong. Voices sell, earn trust (if you are in business), and voices calm, caress. I have client ranging from teachers to therapists, from voice over artists to actors, from lecturers to youtube stars, retirees willing to overcome voice aging and even everyday moms that want to stop shouting to their loved kids». If you click the Elle magazine cover image, you will be able to open a preview of the full interview! I have worked with Mylena since 2010 and Even if she has increased my singing capacity exponentially, she has helped me use my true voice in everyday life. Today I can speak for hours no interruptions and even sing a 3-hour ceremony in the church. She is THE vocal coach, the doctor, the spritual guru you are looking for.